Online game companies need to do more to prevent players becoming too addicted in order to avoid government intervention, a study has warned. Researchers at Cardiff, Derby and Nottingham Trent universities said some gamers play up to 90 hours a session, developing a "pathological" addiction. They say while conventional video games have an ending, role-playing games involving numerous players may not. But the gaming body Ukie said it took the health of users seriously. It said it had a number of measures in place to ensure that games could be enjoyed safely and sensibly. The universities' research warned if game companies did not create restraints for players and their games grew in popularity, Western governments might have no choice but to follow Asia and limit usage. The study, published in the Addiction Research and Theory journal, has said Massively Multiplayer Online Role Playing Games (MMORPGs) are an inexhaustible system of goals and success. The character becomes stronger and richer by moving to new levels while accumulating treasures, power and weaponry. The universities have said evidence suggests around seven to 11% of gamers were having real problems and were considered "pathological" gamers. Some were reported to have been playing for 40, 60, and even near 90 hours in a session. Dr Shumaila Yousafzai from Cardiff Business School said popular online video games warned players not to overuse their products. "These warning messages also suggest that the online video game industry might know how high the percentage of over-users is, how much time gamers spend playing and what specific features make a particular game more engrossing and addictive than others," he said. "While they do not directly admit this, by showing the warning messages, they do take some responsibility into their own hands." 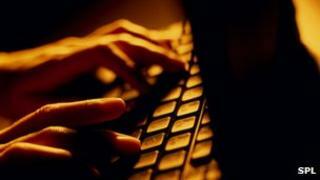 Cyber psychologist Dr Zaheer Hussain, from the University of Derby, said warning messages were not enough. "One idea could be to shorten long quests to minimise the time spent in the game obtaining a certain prized item." Professor Mark Griffiths, of Nottingham Trent University and director of the International Gaming Research Unit, added: "The proportion of gamers who develop problems and/or become addicts may stay roughly constant but as online games get better and better and increasing numbers of people discover them, the number of addicts is most probably going to rise." Dr Jo Twist from the Association for UK Interactive Entertainment (Ukie) said video games were played "safely and sensibly" by millions. She said: "There is no medical diagnosis of game addiction but like anything enjoyable in life, some people play games excessively. "We actively promote safe and sensible game playing through our askaboutgames.com site and encourage all players to take regular breaks of at least five minutes every 45-60 minutes. "The games industry takes the health and wellbeing of all consumers very seriously and has a number of measures in place to ensure that games can be enjoyed safely and sensibly. "There are also control systems available on all main games consoles that can be used to restrict the amount of time spent playing games, limit internet access and control access to age appropriate content."